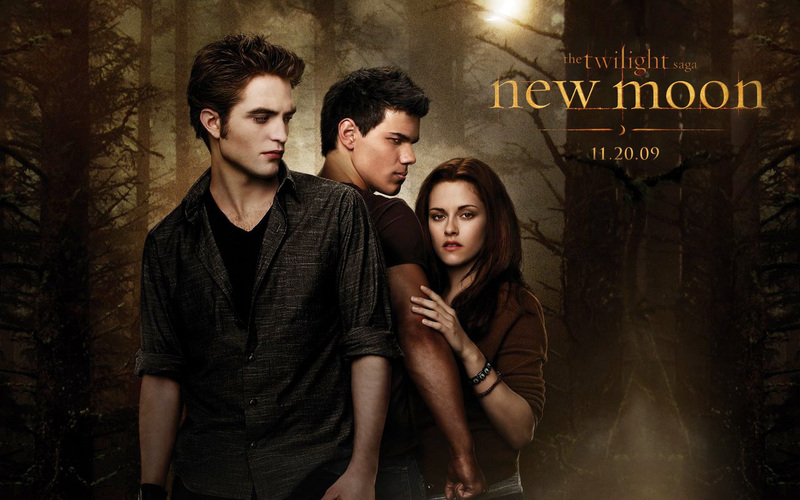 New Moon Hintergrund. . HD Wallpaper and background images in the New Moon - der Film club tagged: new moon twilight edward cullen bella swan jacob kristen stewart robert pattinson movie. This New Moon - der Film wallpaper might contain zeichen, plakat, text, tafel, schilder, and poster.